As someone who travels, I can tell you nothing is more annoying than trying to traveling with multiple devices. I love my Kindle and our various tablets, but once you throw our iPhones in the mix, things get ugly when it comes to charging cables. It is not uncommon for us to bring multiple micro-USB cables and one or two cables for the iPhones. The problem is that our Kindle chargers look very similar to the IPhone lightning cable, which has led to us going on trips before without the right cables. After having this happen to me the last time we traveled to see our parents, I was determined to travel with only one cable. I needed something that would work for both my Kindle Paperwhite and IPhone 5S. 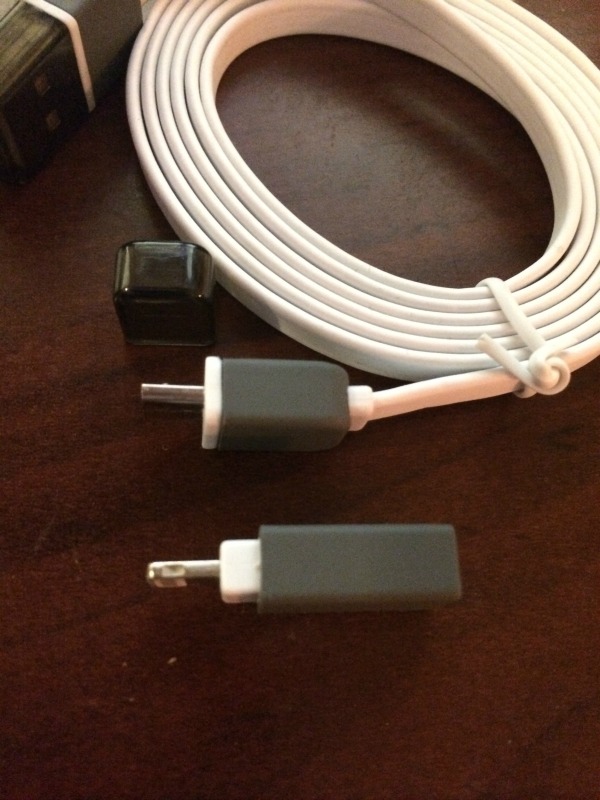 Just as I was looking for the perfect solution, Inateck asked me to review their brand new 2 in 1 Micro USB Cable with Apple Lightning Adapter. After reading a bit about it on Amazon, I couldn’t wait for it arrive, hoping it would fix my cable issue! Tired of having to keep up with multiple cables for your Apple and Android devices? IF so, we think you will love the Inateck 2 in 1 Micro USB Cable with Apple Lightning Adapter. 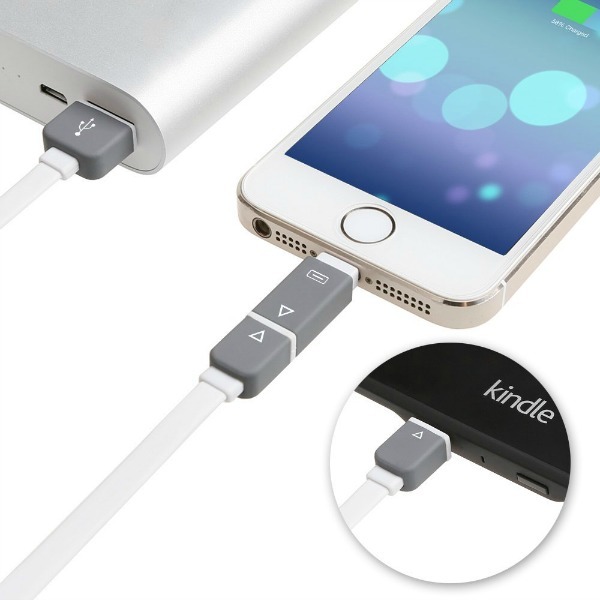 This cool adapter has two connection options, allowing you to have one cable that easily performs as a micro USB cable or Lightning cable for apple devices. This 4 ft flat cable makes charging or transferring data between your devices as easy as possible, giving you more room in your backpack while you are on the go. 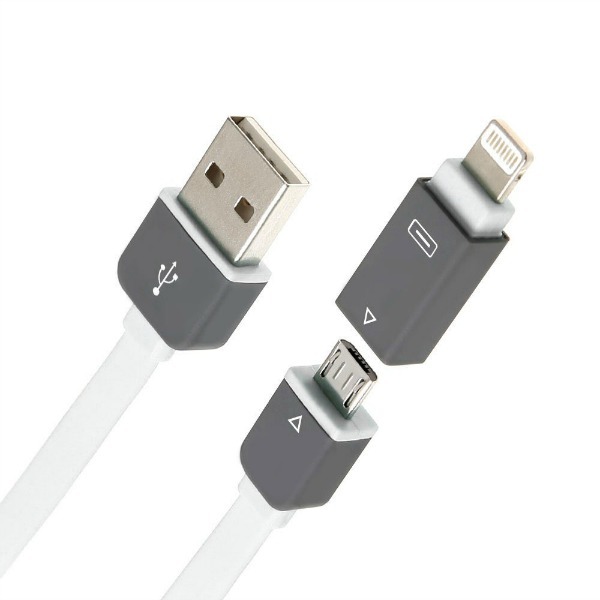 If you are a household with both Apple and other devices, this is the perfect cable for you! Being a family that uses both Apple and Android devices, we were very excited to try out this cable. We normally don’t go anywhere without my Kindle Paperwhite, my husband’s Nexus 10, and of course, the iPhones. With all the different cables, it can easily get confusing wondering if we packed the right cables and hoping we remembered to pack one of the Lightning cables to charge our iPhones. Having this little adapter and USB cable made packing our tech for trips so much easier. Best of all, I love how the adapter itself works. It snaps on the micro-USB portion of the cable, making storage easy when it isn’t in use. Really, this is an ingenious product, perfect for anyone who has need of a Lightning and USB cable set on the go. Based on our own experience, we are delighted to give the Inateck 2 in 1 Micro USB Cable with Apple Lightning Adapter an A rating! Would you like to purchase this cable for yourself? You can buy the Inateck 2 in 1 Micro USB Cable with Apple Lightning Adapter currently on Amazon.com for $11.99. This sounds great. Thank you for your review. We have so many Apple Products and my kids are always looking for useful items for them. I am sure they would want to have this cable also. We now have different types/brands of devices since we gave our son an ipod touch recently for his birthday. Everyone takes their devices wherever we go, and we have various cables for each. It would be much simpler and easier to have a cable that would work for all of them!This sounds easy to use and will be a game changer! Thanks for the info!